Uniform law for the international sale of goods is now in force in each continent and used by over fifty of the world's major trading nations. The United Nations Convention on Contracts for the International Sale of Goods (CISG) is widely recognized as a landmark effort to harmonize laws governing international transactions. More than a decade after its initial implementation and widespread use in thousands of contracts, tribunals in jurisdictions around the world are reviewing articles of the Convention and citing them in both judicial and arbitral cases. 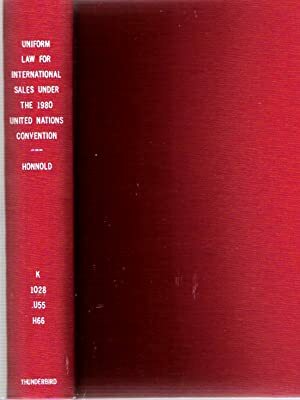 &lt;p class=copymedium&gt;Professor John Honnold, renowned scholar of commercial law, former Chief of the UN International Law Branch and Secretary of the UN Commission on International Trade Law, led the work of drafting and adopting the 1980 Convention on the International Sale of Goods. 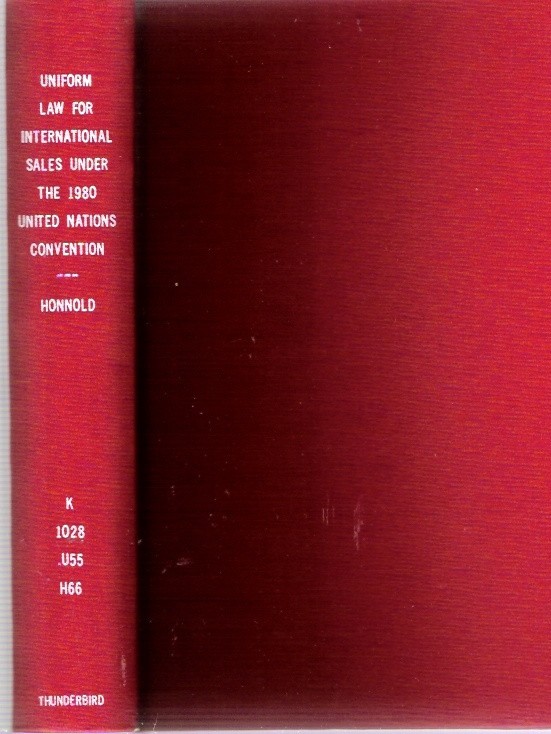 &lt;p class=copymedium&gt;With the publication of the third edition of &lt;b&gt;Uniform Law for International Sales&lt;/b&gt;, Professor Honnold is once again providing tribunals, practitioners, and scholars with invaluable insights into the meaning of each Article of the Convention. As in previous editions, the author offers concrete examples to illustrate practical applications of the Convention, but now he also cites the hundreds of decisions that apply to the Convention. &lt;p class=copymedium&gt;Many of these decisions will influence the promotion of uniformity among countries that have adopted the Convention, encourage the settlement of disputes, and create a consensus for change when application of the Convention seems questionable. &lt;p class=copymedium&gt; The UN Convention on Contracts of the International Sales of Goods has changed the way international sales contracts are drafted and any resulting disputes settled.